Property 54: Holiday home with sauna & WLAN in the Bergische Land: for hikers, cyclists, etc. Property 61: Light&Spacious Family gateway. A luxurious and authentic village house in the green Achterhoek! Property 72: A luxurious and authentic village house in the green Achterhoek! Property 73: Atmospheric holiday home with covered terrace on the banks of the Rhein. Beautiful house in Cologne, for up to 10 people. A large private garden. 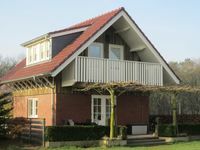 Property 79: Beautiful house in Cologne, for up to 10 people. A large private garden. Property 88: Spacious and comfortable detached bungalow for 6 persons. A very nice little apartment. The stairs are steep but have a good hand rail. The toilet room is small and could use a good exhaust fan. 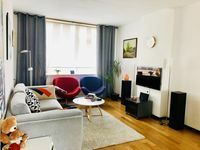 We were very busy with friends and family who live nearby so this apartment worked well for us. Nice welcome with coffee and pie. Clean house and it has everything you need. Quiet area and beautiful nature.